February 24th’s FREE Essential Oils Seminar – Discover the connection with Young Living’s Feelings Kit! Register for 0ne of our FREE Young Living Seminars and let Aspirations Inc show you how to use your Essential Oils to boost your overall well being! Sign up for FREE and come learn all about YOUNG LIVING‘s phenomenal products. Topics of discussion will include how the body connects with and absorbs Essential Oils, the impact oils have on the mental, emotional, and physical aspects of the human body, specific Young Living products and their benefits and uses, as well as the importance of grounding ourselves and reconnecting with nature through the use of such wellness products. February 24, 2016 – Feelings Kit! 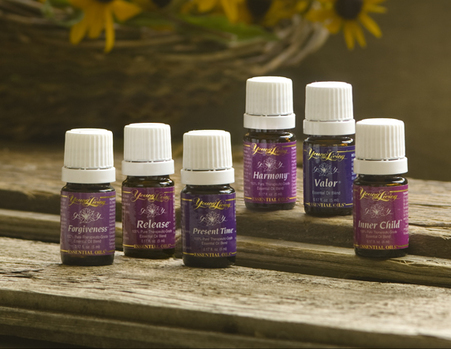 The Young Living Essential Oils Feelings Kit features six oil blends formulated to promote emotional clearance and self renewal. The collection includes Valor, Harmony, Forgiveness, Inner Child, Release and Present Time. Inspired by Dr Gary Young’s life experiences, the feelings collection was designed to lift negative impressions and allow openness to new beginnings. Everyone has experienced lasting adverse impressions that scar our inner self, prohibiting growth and accomplishment. The Feelings regimen can begin the path of self identification by aligning their emotions. The included oils complete the collection by providing the foundation for emotional health. REGISTER NOW TO ATTEND OUR FREE SEMINARS! Join us every Thursday in the Man Cave! !